Compact Fluorescent light bulbs are the original energy saving bulb. They have a lifetime of 10,000 hours which is about 10 years and can save you 80% on your electricity bill. A 60w household light bulb can be replaced with an 11w CFL with no loss of light – look at our wattage comparator to see other bulb wattages. Some CFL light bulbs are available in dimmable versions though these are more expensive. CFL light Bulbs tend to be larger than standard light bulbs, and generally take a short while to reach full brightness. CFL light bulbs don’t have the best CRI. See our full range of energy saving fluorescent bulbs. CRI stands for Colour Rendering Index and is a measure of the quality of light a bulb gives. It is measured on a scale of 1 – 100 . A CRI of 1 is very poor and a CRI of 100 is very good. Sunlight has a CRI of 100 and this is what light bulbs are judged against. CFL Bulbs have a CRI of 85 so you can say they are 85% colour correct. CRI is important in areas that quality of colour is important such as shops or bedrooms. The technology behind Low Energy Halogen light bulbs is simple. A regular halogen light bulb will give more light than a regular household light bulb of the same wattage by around 30%, so why not make a lower wattage Halogen light bulb to give the same light as its household bulb equivalent? A 60w Household bulb can be replaced by a 42w Low Energy Halogen Light Bulb saving 30% on your electricity bill whilst giving the same light output. LED (Light Emitting Diode) technology is the newest Low Energy technology available to us, it offers the best energy savings out of all the Low Energy Light Bulbs we have talked about. 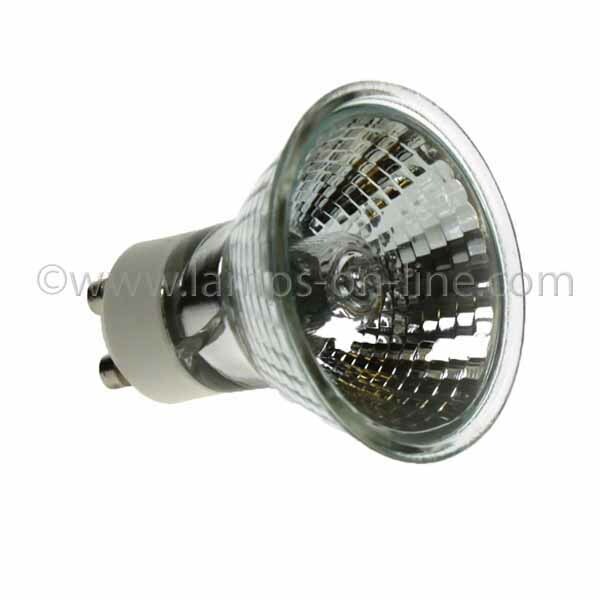 LED light bulbs can replace standard household bulbs as well as Halogen GU10 and MR16 reflector spots as well. See our full range of energy saving LED bulbs. We have always judged the light we get from a bulb by its wattage. With the new technologies that we have talked about we know that a 60w LED, 60w Halogen or 60w CFL would all give different light outputs. A common standard is now used so we know how much light we can expect from the bulb we buy. Light bulbs now have marked on their box the brightness measured in “Lumens”. Below is our Wattage Comparator to show how much light each bulb will give out. As an example we can see that a 60w Household bulb gives out 710 Lumens. If you want to replace this with an LED light bulb, you will need to buy a 12w to achieve the same brightness. Unsure of the wattage of lamp you'll need if you're switching from incandescent to an energy saving option? We've created this chart comparing the different wattages and light outputs of technology; incandescent, halogen, fluorescent and LED.